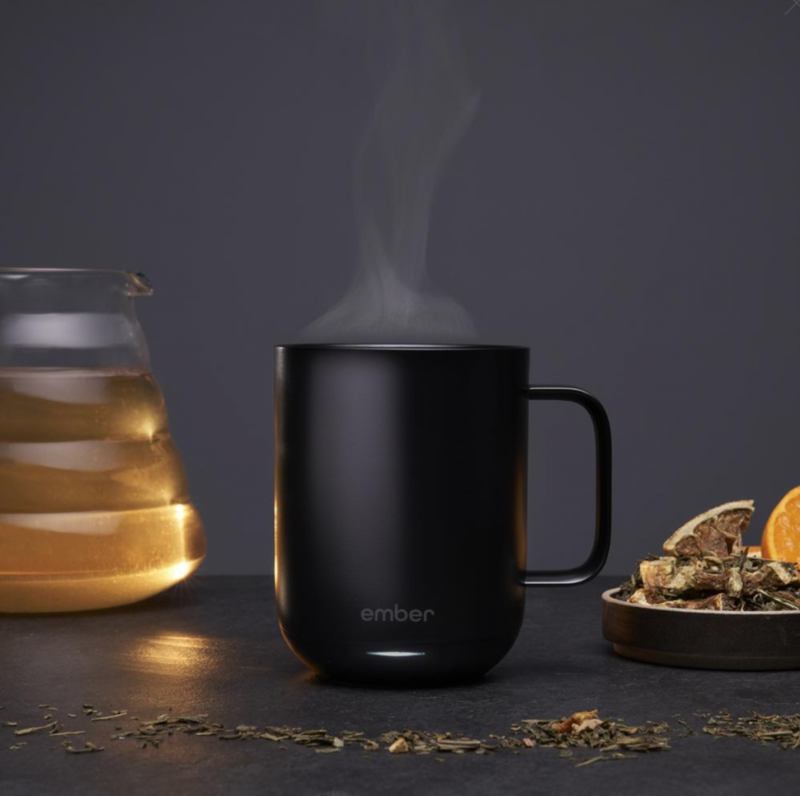 Ember, the maker of the world’s first temperature control mug, has today announced the UK debut of its award-winning Ember Ceramic Mug, alongside integration with the Apple Health app. The Ceramic Mug comes in white, which is available from a range of top retailers such as Selfridges, and black which is exclusive to Apple stores in the UK. Featuring exceptional design and advanced technology, the Ember Ceramic Mug gives users complete control over their drinking temperature for hot beverages (between 50°C – 62.5°C) right down to the exact degree, giving people more time to enjoy their drink in the perfect state. Just a few degrees can completely transform the taste and enjoyment of a hot beverage and Ember, a pioneer of temperature control technology, is helping to change the way people eat and drink by connecting the dots between taste and temperature. Perfect for the home or office, the world’s first temperature control Ceramic Mug lets people enjoy their cup of tea or coffee on their own time and at their preferred drinking temperature. Users simply connect to the Ember mobile app to remotely set the desired drinking temperature, receive notifications when that temperature is reached, save pre-sets for favourite hot drinks, integrate with Apple Health and more. Alongside the launch of the Ceramic Mug in the UK, Ember is also releasing a new update to the Ember app, which features an integration with the Apple Health app. This allows users to track their caffeine consumption throughout the day, as well as set maximum daily caffeine intake measurements. The app will send a notification when the set amount is reached, so consumers can make an alternative beverage choice. Users will also be able to use the Health app data in order to understand how their caffeine consumption affects their heart rate and sleep patterns, contributing to an overall picture of health and wellness. The UK launch follows a highly successful debut in the US, which saw Ember’s Ceramic Mug named as one of TIME magazine’s best inventions of 2017. Just in time for Christmas, the Ember Ceramic Mug will be available in white in Selfridges, Amazon, and Ember.com and in black in Apple stores, and will retail at RRP of £79.95. PreviousChinese electronic giants Xiaomi break into the UK market for the first time! NextWill Apple ever catch up in the smart home race?